Multihead Dosing Pumps are electronic pumps which are known for providing excellent dosing solution. These are designed with PTFE diaphragm between hydraulic oil and the metered fluid. 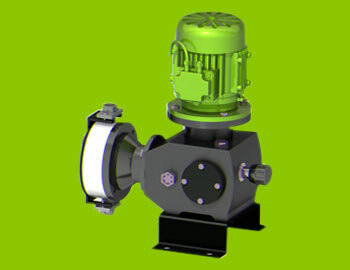 Uniquely designed multihead dosing pumps are glandless and ensure proper safety from leakages of toxic, corrosive and costly fluids. These are available with the capacity range is from 0 to 10000 ltr/hr and pressure up to 100 Kg /cm2. Unique Dosing Systems offers customized Auto Controlled Dosing Pumps which controls the System automatically. 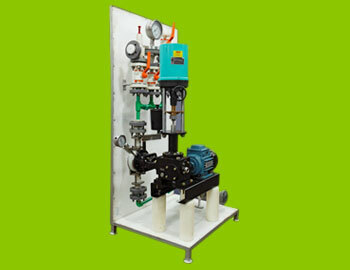 Specially, this type of Pump is designed as per User requirements. 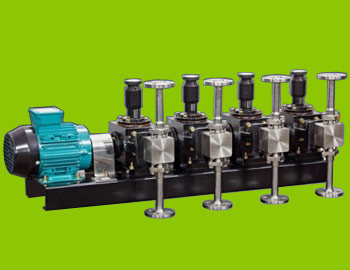 These Pump dose the liquid smoothly with its universal connection to existing process systems. This Alum Dosing Pump are extensively used in different Water Treatment Plant as well as in Paper Industry. It has a capacity ranging from 0 to 1150 LPH and pressure up to 5 Kg/Cm2. This mechanical actuated diaphragm pump is designed excellently to be used for low capacity and low pressure. This mechanical actuated diaphragm pump has PTFE coated diaphragm which is motor driven. 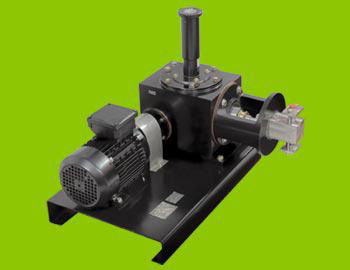 The pump is suitable for continuous operation while handling most corrosive liquids. The diaphragm is coated using PTFE material and is supported by steel core and temperature resistant material. Dosing pumps are technically advanced range of pumps which are extensively used for mixing of different material. These are uniquely designed for maximum flow rate in tropical temperatures and where possible in really acid environments also. Dosing pumps offered by us are engineered using latest techniques and under the supervision of experienced quality controllers. These are extensively used for dosing different fluids with their highly varied viscosities. Besides, these can be safely used for chemically aggressive and toxic fluids also.